Hey Mama! So last night my friend Marah and I went live on my YouTube channel and did a free self care workshop where we also discussed how to live a holistic life and detoxify your home. The major theme of this workshop was oils, duh! I mean you know me by know, I'm using oils on everything. If you missed the workshop and want some amazing tips or to laugh at us drinking wine talking about self care, the link is HERE. Annnnyways, let's talk carpet shall we? I don't know about you but I have a dog and a toddler so the odds are stacked against me. I used to use (god this is embarrassing) Febreze oder eliminator on my carpet! YUCK, talk about chemicals and artificial fragrances. 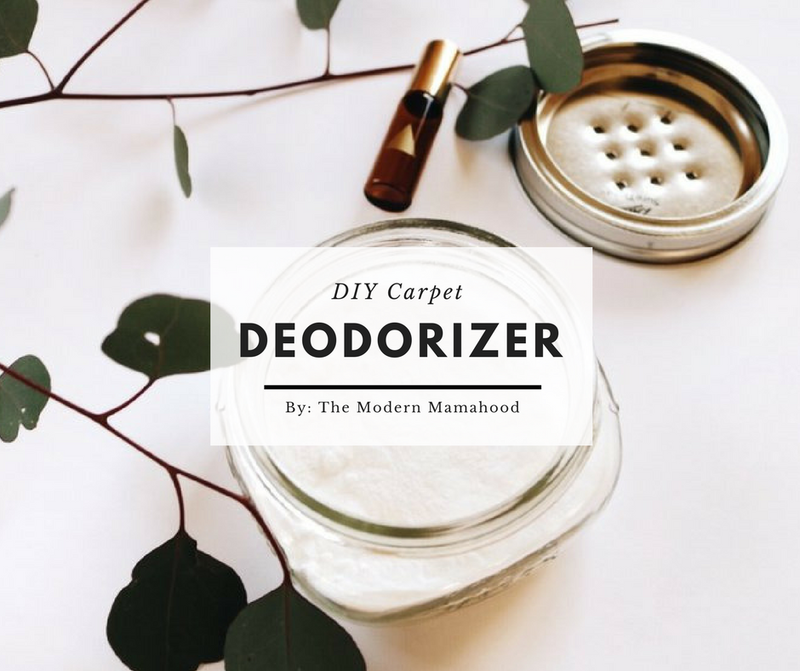 This natural toxin free carpet deodorizer actually detoxifies the home and brings down air pollutants! This is all thanks to lemongrass essential oil. If you don't have lemongrass in your collection go get it!!!!! It smells amazing and works wonders. Poke holes in the top of the mason jar lid. I had my husband do this with a nail and a hammer. Fill mason jar with baking soda. Whatever amount you want. Add 15 drops of lemongrass oil. Screw lid on the mason jar, cover the holes with your hands, shake up the oil and baking soda, and then sprinkle all over carpet. Let sit for 15-30 mins then vacuum up. Thank you to @Naturallymindedmarah for this brilliant idea!!! Go check her out on Insta for all your oil inspo.